Options: Select an Option 0X- .011" 1X- .010" 2X- .009" 3X- .008" 4X- .007" 5X- .006" 6X- .005"
As staple a tippet material as can be bought. One of the best if not THE best. 0X - 6X here but also available in larger diameters for butts and mids. For years, most tippet materials were marketed as being something they weren’t. The diameters, breaking strengths, and performance just weren’t accurate—or up to par with Scientific Anglers own rigorous standards. 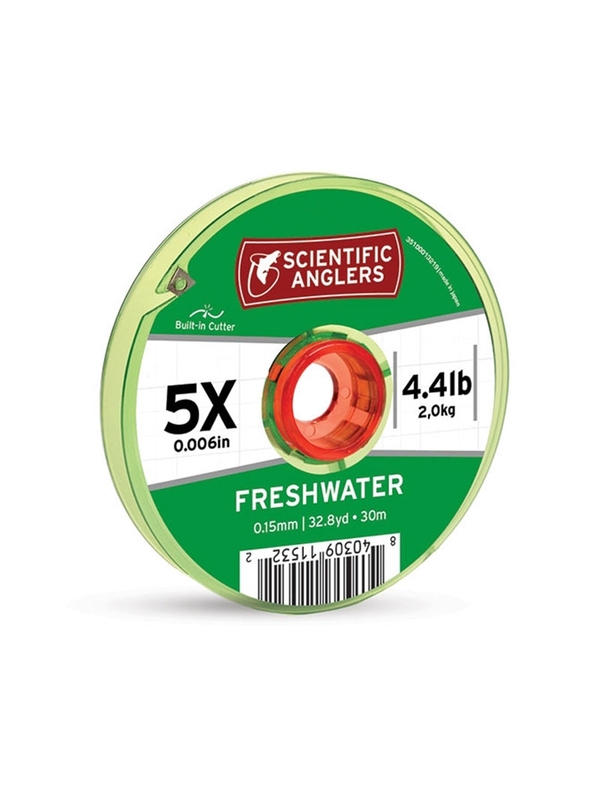 Their new Freshwater nylon tippet is, simply put, the strongest and most reliable they have ever created, with the highest knot strength of anything they tested. Period. You can fish the other stuff, or you can Fish the Truth. * Sizes: 0X – 6X.